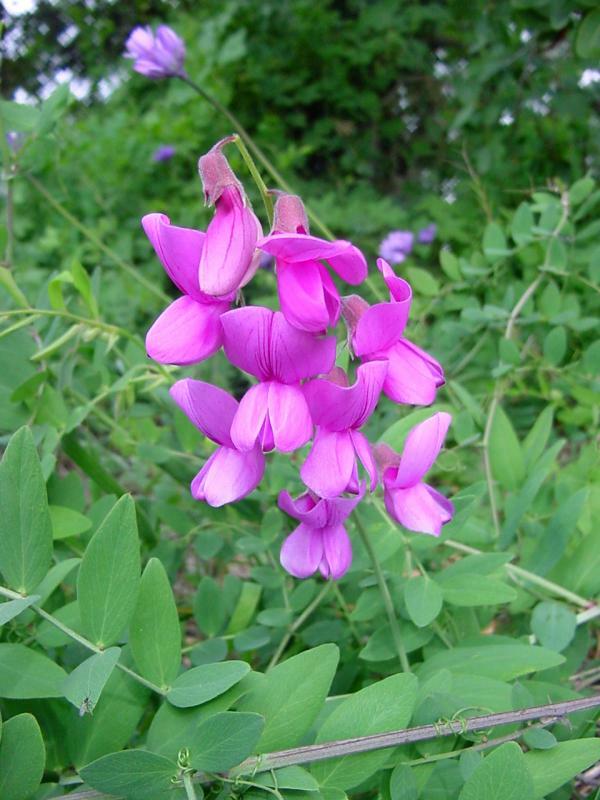 San Diego pea is a variant of the common Lathyrus vestitus or canyon sweetpea. It seems to differ from var. vestitus chiefly in its color, which is a beautiful wine-red to dark purple, and in having a banner which is reflexed more than 90° to the keel axis and somewhat longer pedicels. Its range according to Munz is western Riverside County and southern Orange County, and also Catalina Island. The Jepson Manual indicates that it may intergrade with var. vestitus. 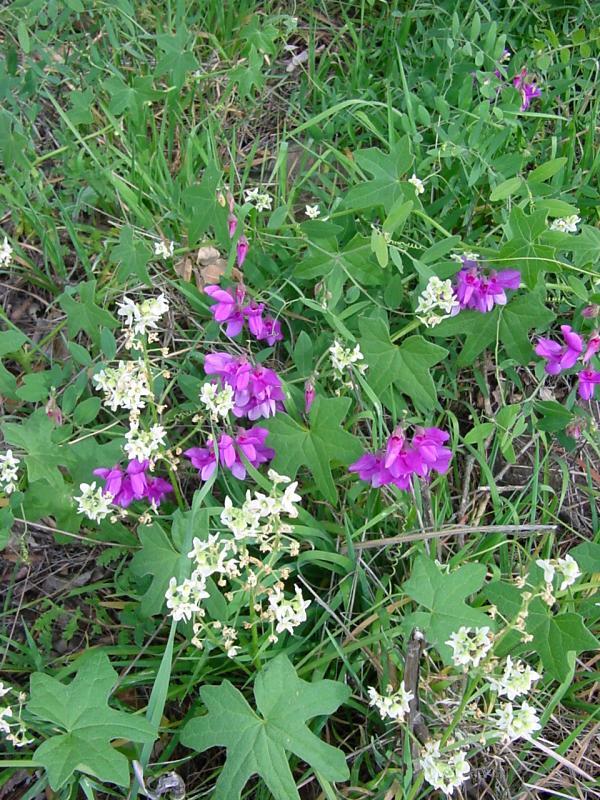 These pictures were taken in the Santa Rosa Plateau Ecological Preserve. 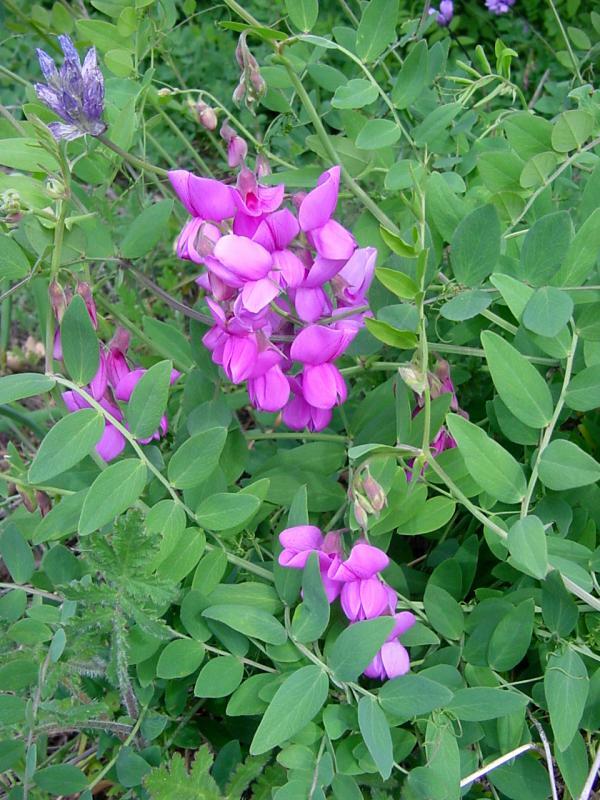 Click here for a comparison with the other variant and more botanical information. 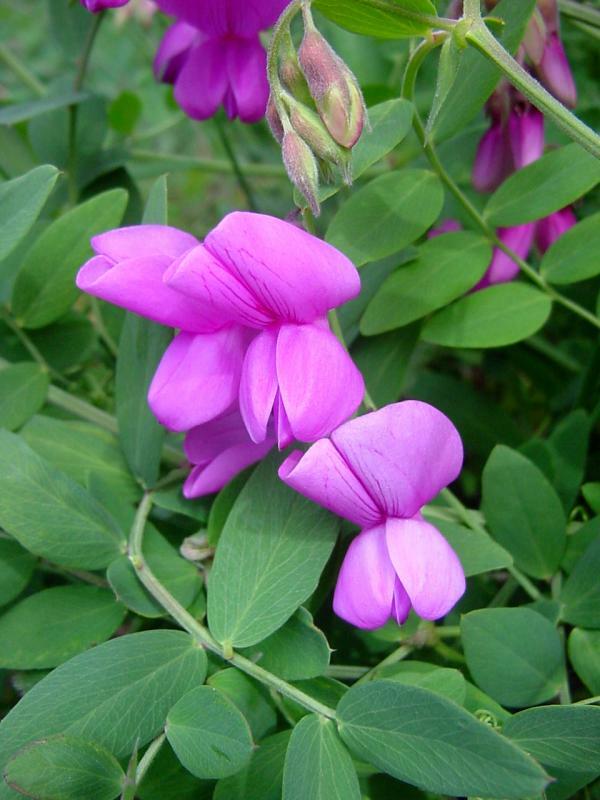 Click here for Latin name derivations: 1) Lathyrus 2) vestitus 3) alefeldii.